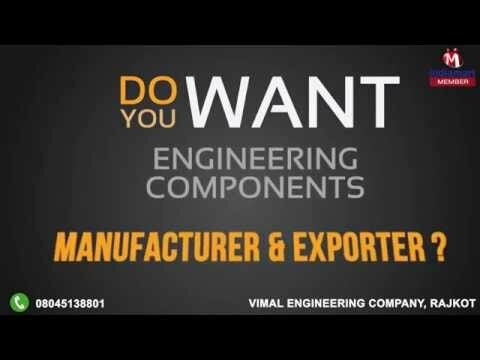 Welcome to Vimal Engineering Company, established in the year 1994, we are engaged in manufacturing, exporting and supplying an impeccable gamut of Industrial Bearings. The offered range comprises the finest Taper Roller Bearings, Spherical Roller Bearings and Truck Hub Units, having a high preference in the market. hese are manufactured using premium grade raw material, which we source from reliable vendors. Making of this range is done in compliance with the set industry Norms and guidelines, utilizing the finest raw materials and modern machines. This ensures the products strength, capacity and service life. Further, the offered range is quite reasonably priced. The highly advanced state-of-the-art infrastructural facility at Vimal Engineering Company, has been parted into a number of highly operational units, for reasons of attaining smoother and effective management of the firms operations. In addition to this, our ethical working habits have helped us in generating a huge and highly reputed client base.